What is the price for the shipment/transportation and how long is the delivery time? We are usually forwarding only into the below mentioned countries. In accordance to your order the shipment is made by UPS, mail (DHL) or by courier for valuable transport. The shipping costs are specified in the below mentioned table. If you desire to get a shipment in another country, please write us an e-mail to the following address: salesmanager@alexander-shorokhoff.de and inform us about the article(s) to ship, the quantity and the delivery address including the country and the postcode. We will shortly inform you if a shipment in this country would be possible and will give you also information about the shipping costs. *When shipping into the states of the European Community it is necessary to invoice the German VAT with the referring goods and services. The VAT will be not charged in case that the customer has a valid turnover tax identification number and will forward this number to us. **In case if the delivery address is out of the EU, the German VAT is not invoiced. After the exportation (German VAT not charged), the VAT of the country of recipient has to be payed to the responsible authority in this country. Detailed information about the import regulations of the country in question can be received from the local customs office. Which forwarder will deliver the watches? 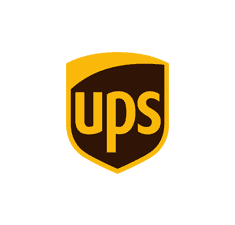 Usually, we are shipping the watches by UPS (“standard” or “express saver”). On request of the customer we can offer a low-priced shipment by DHL; the delivery period can vary from country to country and amount up to 20 days. Is it possible to track the state of the shipment? Immediately after the delivery, you will get an e-mail from us including the tracking number of your shipment. With this tracking number you will be able to track the state of your shipment. Is it possible to delivery on a requested delivery date? In case if you need to get the watch on a certain date (for example on your birthday) or if you just able to receive the watch only on a specific week day, please let us know. We will try to help you as far as we could manage it. Express delivery and delivery on Saturday is possible for additional charge..
Transport damage, what can I do? The goods are fully insured up to their full value. In case of damage in transit, please contact us immediately.